The hand might look like an X-ray from the doctor’s office, but it is actually a cloud of material ejected from a star that exploded. NASA’s NuSTAR spacecraft has imaged the structure in high-energy X-rays for the first time, shown in blue. Lower-energy X-ray light previously detected by NASA’s Chandra X-ray Observatory is shown in green and red. 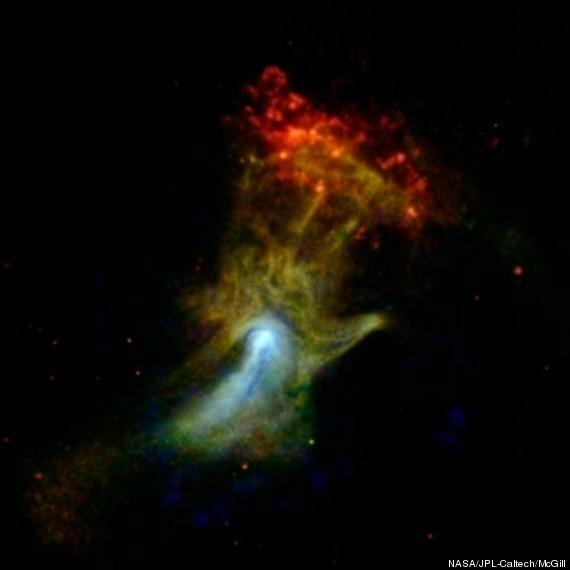 This entry was posted in SCIENCE AND TECH and tagged ASTRONOMY, GOD, HAND, NASA, RELIGION.